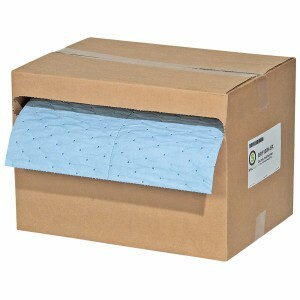 Oil-Only FineFiber Mat Roll repels water and quickly absorbs oily spills or overspray. Color-coding helps you visually identify the right sorbent for your needs. Blue designates Oil-Only sorbency and fits into many professional surroundings. Dispenser box protects Roll for grab-and-go ease.